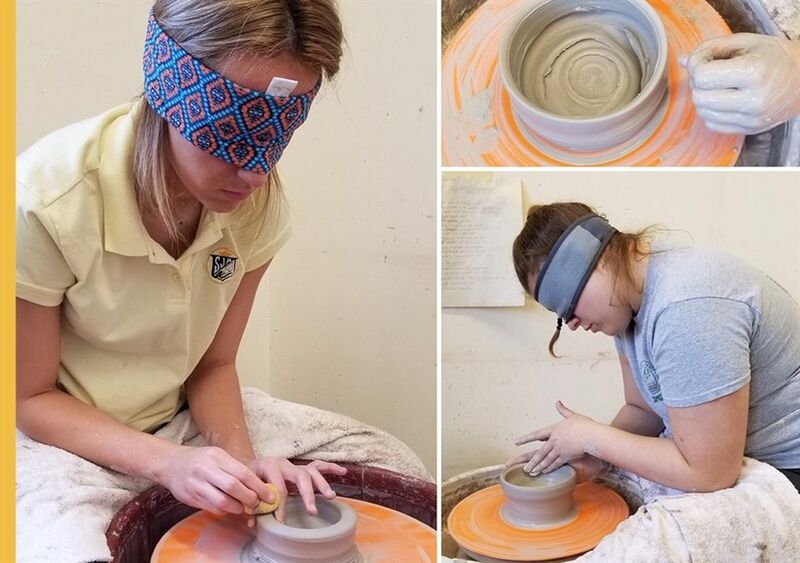 Students in “Ceramics II: Wheel Throwing” took away their sense of sight for a unique learning experience. Students tend to over-correct themselves when they are first using the pottery wheel. This exercise allowed them to figure out the appropriate amount of pressure to use and fix mistakes based on the feeling, rather than the look, of the clay. This course, taught by Mrs. Amy Kling Madej ’99, teaches students how to create beautiful pottery pieces exclusively using the pottery wheel.